I recently installed the Ring Video Doorbell for a couple of reasons. First, my existing doorbell stopped working, so I needed to replace it anyway. And second I thought it was pretty cool. I wasn’t actually worried about the security aspect of the doorbell, but alas I’m impressed with it! But perhaps the most interesting use case I’ve found so far for my new doorbell is in creating a smart security light using my Ring, a smart switch, and a little integration magic through IFTTT and Stringify. The Ring Video Doorbell installation is actually the easiest part of this whole setup and their printed promise of a 5 minute installation is probably pretty accurate. It took me a little longer because I needed to add a mounting bracket because of where my doorbell is located on the frame and to get a better angle on people visiting the front door. 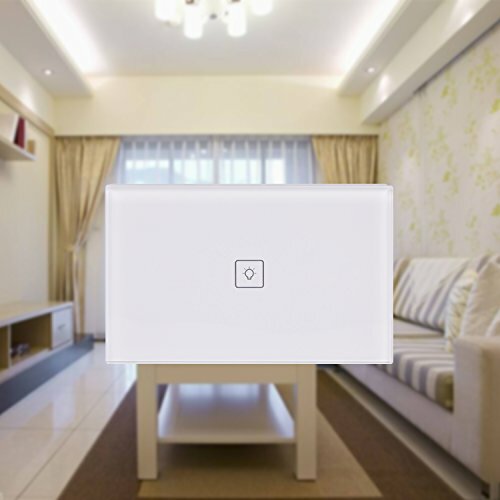 For most people the installation should be as easy as removing the old doorbell, mounting the bracket, connecting the power wires, and clipping on the Ring Doorbell (after setting up the app on your phone and syncing it to your network). The Ring Video Doorbell and Chime bundle is a cost effective way to replace your doorbell. I chose the Venetian Bronze colour to match other things on my house (other colours available), and the installation was simple! 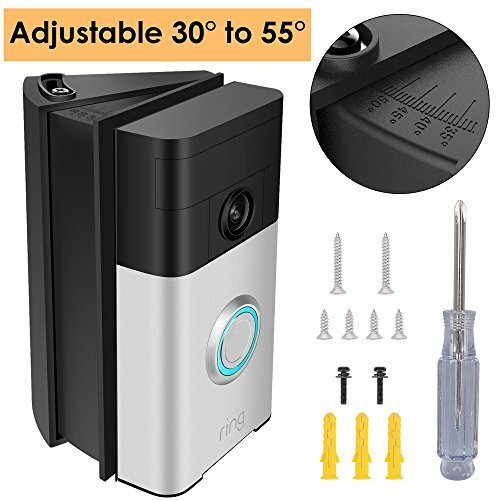 Depending on where your doorbell is mounted you may want to improve the angle of your video using this inexpensive angle mount. It added about 3 minutes to the install, but well worth it to get the best angle for the camera! I use and love these super-economical touch switches. They are pretty easy to install for an experienced DIY’er, they look really slick, and the integrate easily into IFTTT as both a trigger and action! I won’t go back over the installation of the smart switches that drive this feature, but if you haven’t already added smart switches to control your front door light you’ll need to and you can check out our post on that here. The simple smart light switches I have installed throughout the house are already integrated into my IFTTT account, so combined with the motion triggers on the Ring Video Doorbell I can quickly activate security lighting at my front door. The video quality of the Ring Video Doorbell is actually pretty amazing at night without any lighting, but the point of security lights isn’t just to improve the video, but also to deter potential criminals. Because there is no obvious motion sensor anywhere near my door, the fact that the regular front door light turns on when someone approaches will seem to most that there is someone home, and that should be enough to send the bad guys off to the next house. So now that we’ve established the need and benefit of smart security lighting, let’s get to connecting things up! Maybe it’s the software guy in me, but I always like to start out by clearly defining the use case before I start solving to help make sure I put the right pieces together. Turns on automatically when motion is detected. Turns off automatically after 10 minutes. Only activates at night (between sunset and sunrise). As with most of our DIY smart home use cases, we will use IFTTT and Stringify to provide integration, triggers, and action to tie things together. Because the Ring triggers on IFTTT are a bit slow to react and we need some more complex logic we will actually use Stringify and their Ring integration to kick things off. I did try using the IFTTT trigger for Ring as a starting point originally, but with a delay of between 1-3 minutes between the motion and the trigger kicking in it doesn’t work for our use case. 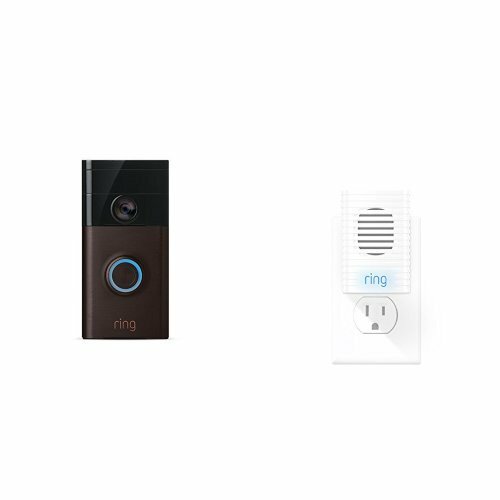 Stringify is much more responsive on the Ring Doorbell triggers, so I am using it primarily when I want to trigger integrations to anything in my home. Note – you will need to connect your Ring account to Stringify to find the Ring trigger in your available options. Now we can configure it and wire it up as you can see in the picture. Set up the date and time as a Trigger and select “It is nighttime” and make sure that your Time Zone and address is set correctly so the Sunset and Sunrise times are accurate for your house. Select the “When motion is detected” trigger from the Ring options and save. Choose the start the timer option on your timer and set the countdown to whatever value you want your light to stay on for. In my case I chose 10 minutes. We will have two IFTTT actions here, the first is the top right on the image which will trigger turning on the lights. Again make sure you note the ID provided for your IFTTT setup. The bottom right IFTTT action is your delayed action to turn off the lights. As with previous IFTTT triggers and actions make sure you note the ID. Now you can connect things as you see in the picture. The only trick is the joint connection between the Ring trigger, the Date & Time and the IFTTT action to turn on the light. 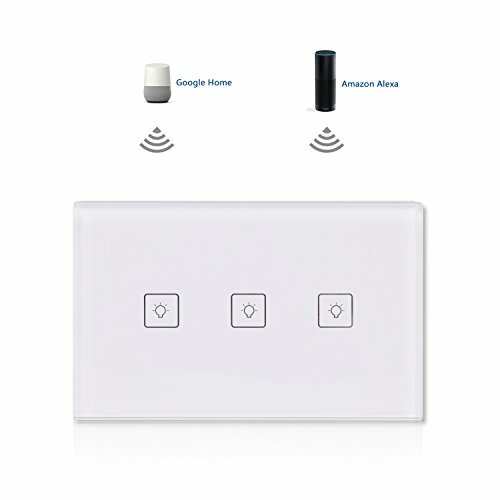 To create this complex connection, drag your connection between the Ring Doorbell trigger and the action directly, then drag the connection between the Date & Time and the yellow link at the midpoint of the line you just created. If we receive a trigger from the Ring Doorbell and it is nighttime, then trigger an IFTTT applet to turn on the lights. After 10 minutes of receiving the trigger command call an IFTTT applet to turn off the lights. To test your setup all you have to do is wait until sunset and then walk out your front door. When you trigger the motion your porch light should turn on (within a couple seconds) and then turn itself back off after the timer you set ends. We love hearing about how these projects work for you or if you have other related ideas we may not have thought of. Feel free to share them in our comments below!